It’s the New Year. Time to make resolutions and then, over the course of a month…break them. Right? Yes. Right. It’s the way it works every year. You vow to stop eating chocolate…to go to the gym…to eat more vegetables and less potato chips. You promise to get into a habit…make it a routine. But then…by MLK Day…you’re already off the wagon. And you know what? That’s okay. We’re in the midst of winter here. Cold temperatures and lack of sunlight have a funny way of killing off any bit of motivation out there. We’re human. It happens. But, it’s also okay to enjoy the little things in life and to be less strict with yourself. Resolutions can be broken…but they can be picked right back up on where we left off. That’s the best part. Being that it is January…and the New Year has come and gone…and the weather outside is frightful(ly cold)…I’m a lover of all things comforting when it comes to food. Tis the season for those hearty meals that make you just want to curl up with a good book in front of the fireplace and dig in while losing yourself. Ah…it’s a wonderful thing. And, when it comes to winter comfort foods…nothing is better than soups, stews, chili, and pasta, right? Of course!! Those are classic comfort foods if you ask me. Well, in the January Happy New Year 2015 Cuisine Cube, we were served up a few products that were good for you…but also a guilty pleasure and comfort. That’s the wonderful thing about Cuisine Cube…you just never know what to expect from one box to the next. One cube guarantees a product that is good for a breakfast, lunch, snack, dinner and dessert. And sometimes, like in the case of January, you get a bonus item. In this case…another snack. YAY! I know, if you’re reading this blog regularly, you are familiar with the service that Cuisine Cube offers…but just in case you are a newbie…first of all…welcome. Secondly…hop on over to Cuisine Cube’s Web site and take a look at this fantastic service. This small group of foodies put together a completely gluten-free box of goodness each month with 5-6 products from small, lesser-known artisan producers…some local…some not-quite-so-local. I’ve discovered so many amazing products after I signed up for this service back in May. And…you get a cube delivered right to your door each month…starting at $29.99. So, yeah…I encourage you to check them out. Have a little surprise each month and enjoy a few products you might never have tried or known about before. It doesn’t get much better than that. With that said, the January Cube was packed with a lot of healthy foods. Seriously. The dessert was dark chocolate covered rice cakes. Yes, there will be blog on those soon…stay tuned. Even the most comforting of foods inside…is healthy-ish! And I’m okay with this. But…I’m also dealing with a bit of the winter blues…so when I saw the unassuming cloth pouch of Mary Ann’s Beans Gluten Free White Chili Mix…my brain immediately turned to comfort food. And with that, I set out to do more than just make the chili and eat it. You know, reinventing a product is something I love to do. First, let me talk a little bit about Mary Ann’s Beans. Chili can be comfort food, but Mary Ann’s Beans is making it a part of a healthy lifestyle. All of the soup and dip mixes are nutritious and low in sodium. They have options for vegetarians, gluten-free, and offer all seasoning mixes that are made with no salt, no sugar, and no MSG. In other words…it’s good for you. And these soups tastes great too. Make Mary Ann’s Beans part of your heart healthy lifestyle with our delicious and nutritious low sodium soup mixes. With flavors to please every palate, and options including vegetarian and gluten-free, your whole family will love our soups. Our all natural soup, dip and seasonings mixes are hand made with no salt, no sugar, and NO MSG. 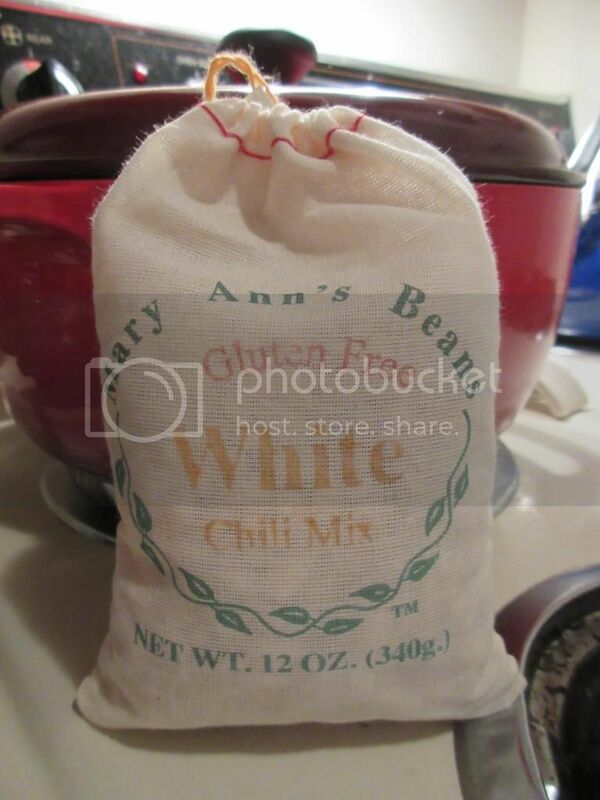 Mary Ann’s Beans most famous mix is the Gluten Free White Chili Mix that was in the January Cuisine Cube. And, honestly, I can see why!! These mixes do take some time to make, but, trust me…it’s well worth it. 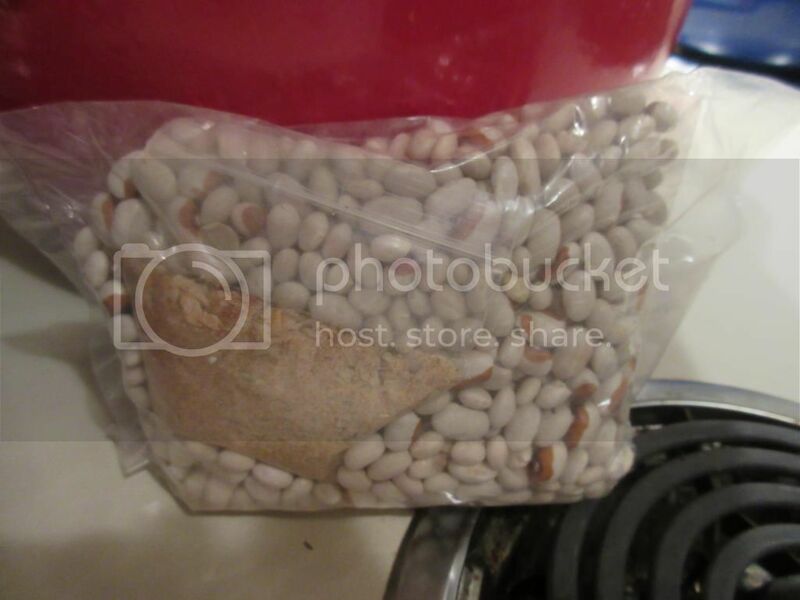 Last night, I soaked the packet of dried white beans in water. I drained them and rinsed them. And then…set out to cook them. The instructions included on this chili mix package give two ways to cook it…in a slow cooker for 6-8 hours or…on the stove top for 3-4 hours. I went with the stove top method. And making this chili is super easy. The actual instructions do call for chicken, as it is a white chili. But, as a vegetarian, I just left it out and kept it strictly the beans and the can of chopped green chilies. I used Vegetarian No-Chicken Broth as well, instead of chicken broth. Cooking it is time consuming, but it yields amazing results. 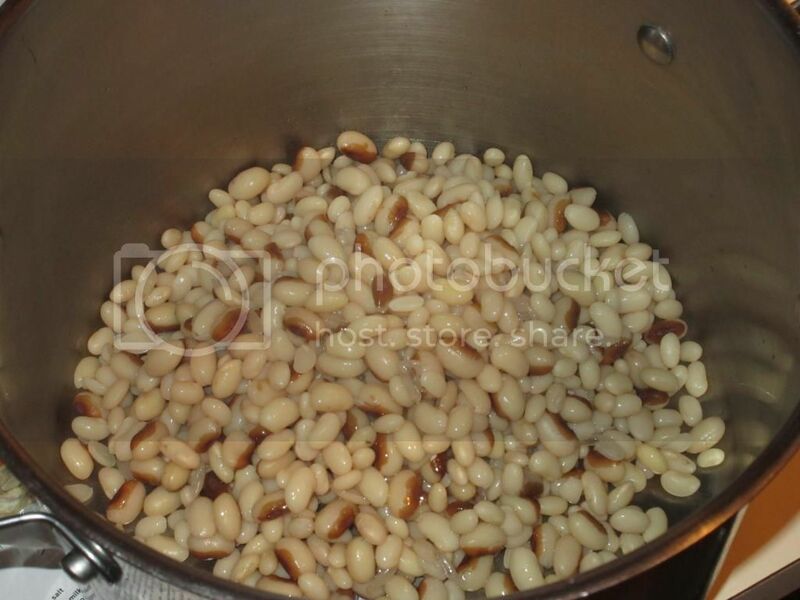 With the stove top method, you simply combine the white chili beans, 6 cups of broth (vegetable, non-chicken, chicken…), a 4 ounce can of chopped green chilies, 1-1/2 – 2 cups of boneless cooked chicken (if you are using…if you are a vegetarian like me…it’s fine to leave it out! ), and the contents of the spice packet that is included, into a large pot and bring it to a boil. Reduce the heat, cover, and allow it to simmer for 3-4 hours, or until tender. I let mine go for about 3-1/2 hours and it was perfect. Add a bit of salt at the end voila…your chili is ready to eat. What emerges is this hearty and thick chili that has this light, and slightly spicy taste to it. White chili is amazing, even without the chicken, and it makes for a beautiful and eye-catching addition to any potluck or chili cook-off. But I was not just going to cook up this fantastic product and just eat it straight. You know better than that. I did, however, take a few spoonfuls to see how it was. And, let me tell you, Mary Ann’s Beans is doing comforting winter food right. The flavor is familiar…the texture is hearty and rich…and the spice is a mild heat. If you like hotter (I do), you can put in jalapenos instead of chilies, but my roommate isn’t a lover of spice, so I kept it mild. At the end of cooking, I added some salt and a hit of berbere seasoning…and it made pure chili perfection. If you love chili…you will love this. Let’s talk ingredients, shall we? Mary Ann’s Beans White Chili Mix is made from great northern beans, navy and yellow eyed beans, dried onions, garlic and spices. As stated before, these are gluten-free, contain no salt, no sugar, and no MSG. This mix is also cholesterol free. One pouch of Mary Ann’s Beans Gluten Free White Chili Mix contains about 6 servings. One serving will give you 190 calories and 1 gram of fat. A full serving will also dish up only 10 mg sodium and 1 gram of sugar. As for being filling…it’s chili…it will be filling. You get 13 grams of fiber and 12 grams of protein in each serving. I do love hearty, nutritious, comfort food. And this is all of that rolled into one. But wait…there’s more!! I created an amazing (vegan and gluten-free) ultimate comfort food dish using the prepared Mary Ann’s Gluten Free White Chili Mix. Trust me, your winter blues will disappear while you dive into this dish. Bring the water to a boil and prepare the pasta according to the directions on the package, taking about 1-2 minutes off of the cooking time, as the noodles are going into the oven. While the noodles are cooking, mix up a batch of your favorite cornbread (just the batter…do not cook it!) and get the cheese prepared. Drain the pasta when it’s ready. In an 8 x 8 inch baking dish, spray non-stick cooking spray. Add the pasta to the bottom of the dish. Then top it with a layer of cheese. Then add the chili. Top with the cornbread batter, spreading it evenly over the top with a spoon. It’s okay if it doesn’t reach the edges. Bake for 30-35 minutes, or until the cornbread is golden on top and cooked all the way through. 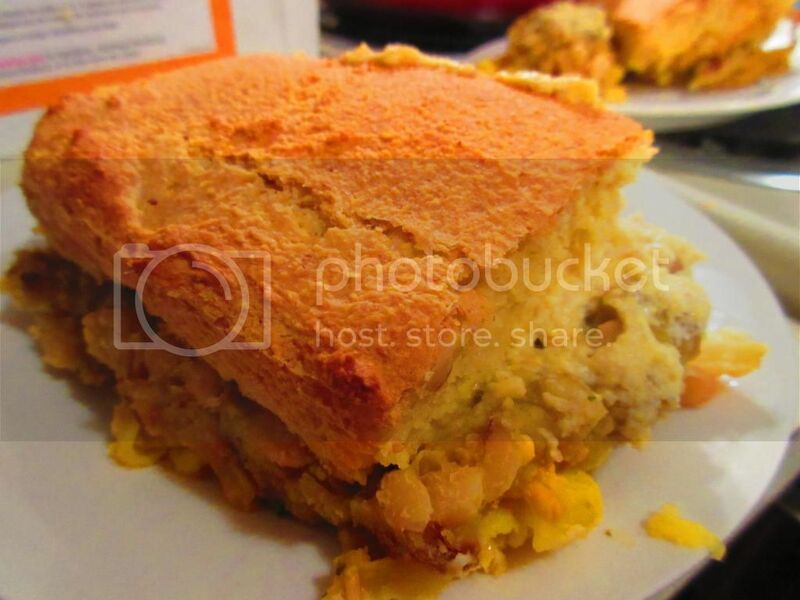 You can use a spoon to lift up the cornbread layer to make sure that it is completely cooked. Cooking times may vary with the cornbread mixture you use, but keep an eye on it and check it. The cooking time might increase due to the “wet” layers that are underneath the layer. Oh. My. Gluten. Free. Comfort. Food. Gods. No…really. If you love a hearty winter meal, this is the way to go. I loved the rich flavors that the Mary Ann’s Beans White Chili brought to the dish. It was the centerpiece…the middle layer…the glue. And it was an absolutely amazing addition to this entire dish. When winter has you hiding under the blankets longing for something warm and wonderful to eat…this will definitely fulfill that desire. Either that…or a big, steaming bowl of just the chili on its own. However you serve it up…flavorful, creamy, and just…so good! It was thanks to the amazing products that Mary Ann’s Beans put out and Cuisine Cube sent me that I was able to piece together this hearty, and amazing dinner. For the record, the gfJules Cornbread Mix (review to follow) is also a product I received from Cuisine Cube in November. So, as you can see…it is definitely a service worth trying out. Seriously, your inner foodie will thank you for it. 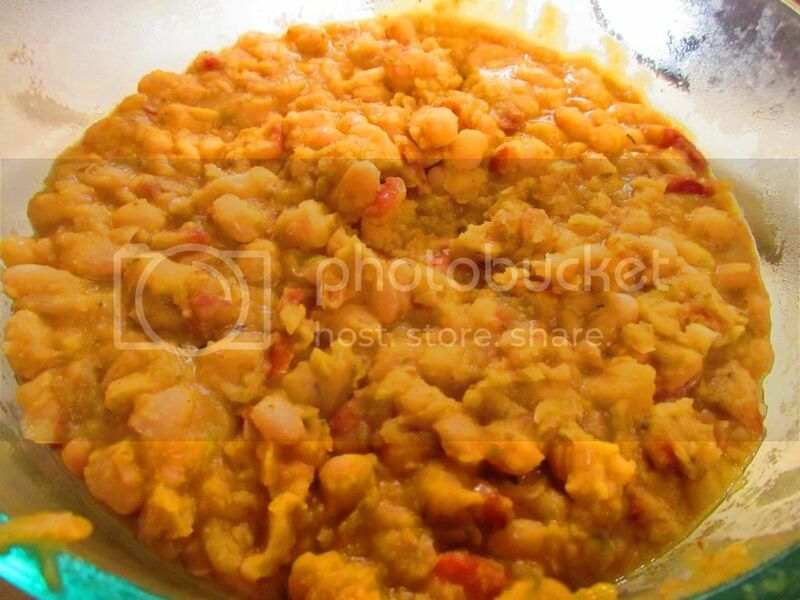 This entry was posted in Baked Goods, Beans, Bread, Casserole, Cheese, Cuisine Cube, Entree, Food, Gluten-Free, Italian, Mix, Pasta, Products, Recipe, Review, Soup, Vegan, Vegetarian by The Celiathlete. Bookmark the permalink.